Home > Books > Mama, Is It Summer Yet? 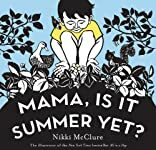 Young children see the passage of time through the seasonal changes to the world around them in this charming book, illustrated with Nikki McClure's extraordinary cut-paper art. A little boy who can't wait for summer keeps asking his mama, "Is it summer yet?" Mama says, "Not yet, little one," then points to the signs that spring is turning to summer- the softening of the earth, the nest-building of squirrels, the singing of birds- and encourages her son to savor the beauty of spring.Following the success of All in a Day, Nikki McClure once again uses her unique paper cutouts to showcase wonderful images of nature and the joys of family and the outdoors, creating a book that is both timeless and fresh. 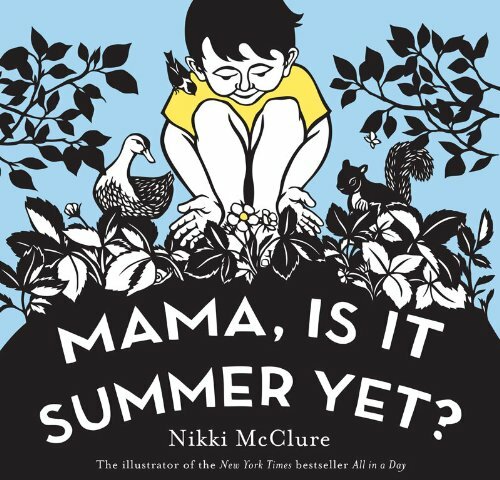 About Nikki McClure (Author) : Nikki McClure is a published author of children's books. A published credit of Nikki McClure is Awake to Nap.